After dating Mr Boo for a little over a year my parents dropped the bombshell that they were moving back to our hometown. Having met and fallen in love with Mr Boo I opted to stay behind. We decided to move into a small one-bedroom flat together. Suddenly living away from home and having to complete all the washing and cleaning was an eye opener. The biggest challenge was cooking, as I’d only ever been shown how to make biscuits and cakes. Our first Christmas dinner was the ultimate fail with the turkey still raw in the middle, so we ended up with sausage, beans, and chips. Over the years I have gradually increased my cooking knowledge, however, I am still not the greatest. Whilst I try to cook from scratch whenever I can, both time and a lack of knowledge plays a big factor in our meal options. The new range of Knorr Naturally Tasty provides the flavours required to make a meal delicious whilst offering me the easy, no-fuss preparation required for busy family life. 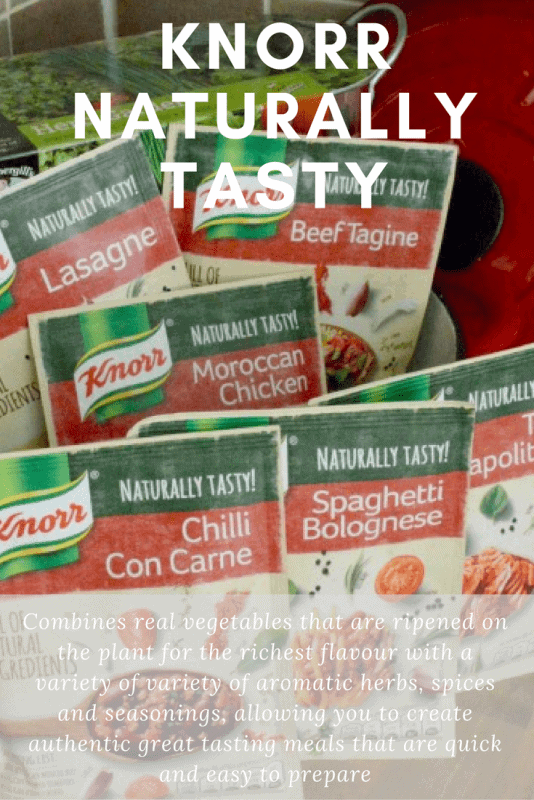 Knorr Naturally Tasty combines real vegetables that are ripened on the plant for the richest flavour with a variety of variety of aromatic herbs, spices and seasonings, allowing you to create authentic great tasting meals that are quick and easy to prepare. The range contains no artificial colours, flavours and preservatives, as well as being free from MSG, HVO and HVP. There are six recipe mixes in the range to make a variety of hearty family dishes bursting with flavour, including Chilli Con Carne, Lasagne, Spaghetti Bolognese, Tuna Napolitana, Moroccan Chicken and Beef Tagine. Over the past few weeks we have been trying out the new range and it is lovely to see just how easy they are to use. Roo has been with me in the kitchen helping prepare dinner and has loved reading out the items required from the sachets to create a delicious meal. 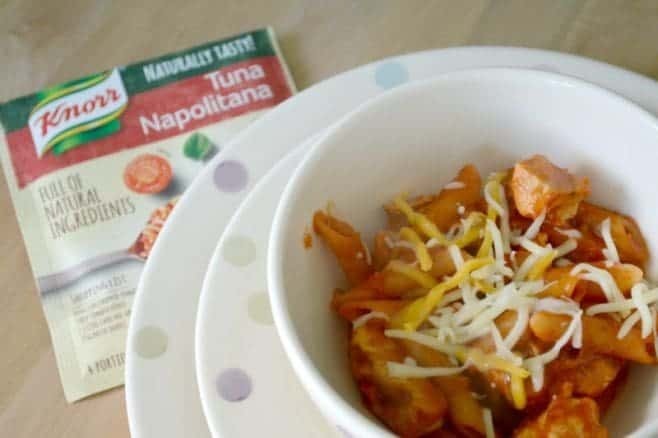 The Tuna Napolitana is our favourite, however, we did substitute the tuna for diced chicken as we aren’t that keen on tuna. Each sachet provides enough for four servings, however, we found that the portions were a little generous so managed to get six servings from each packet. The Knorr Naturally Tasty sachets are priced at 89p each and available in most national supermarkets. 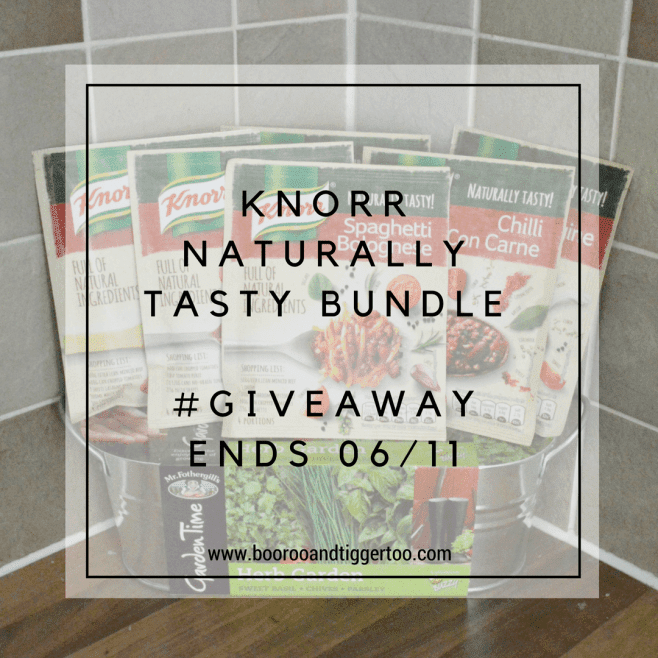 To help show you just how easy to use and how tasty the Knorr Naturally Tasty range is, Boo Roo and Tigger Too have a Knorr Naturally Tasty bundle (six sachets and a herb garden) to giveaway.